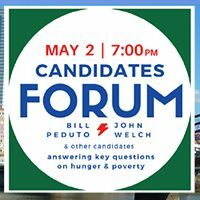 Join us for this special three-part event, featuring a Mayoral debate and a candidates forum for the May 16 Primary Election. 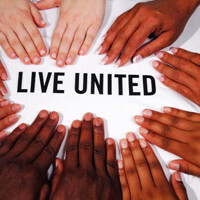 Just Harvest is a United Way agency. Our work to connect people with free tax help, public benefits, and healthy food would not be possible without your support of the Impact Fund. Poverty in Pennsylvania and Allegheny County failed to significantly improve between 2013 and 2014, and is particularly affecting children and minorities. Looming cuts to federal funding for safety net and human needs programs could be disastrous. This afternoon, DPW Deputy Secretary Lourdes Padilla announced that it had reversed its decision to close the Greater Pittsburgh East CAO effective April 1. Rallies will continue as planned to ensure that DPW finds a new location within two miles of the old location that is accessible via public transportation and centrally located. Here are this month’s highlights from the federal, state, and local policy issues we work on: expanding tax credits for low-income workers; the Food Security Partnership’s work to close the hunger gap; bringing caseworkers and clients together to improve DPW customer service. Rally and Twitterstorm to save the DPW Greater Pittsburgh East County Assistance Office in East Liberty! 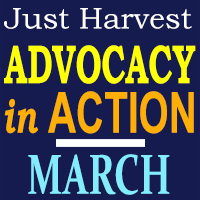 By Just Harvest on March 31, 2014 in Barriers to Benefits, Blog, Get Involved, Take Action! The state’s Department of Public Welfare is planning to close the Greater Pittsburgh East CAO, which serves more people in need than any other office in the county. Join us at four rallies tomorrow at 11:30am to make sure the message to DPW is clear: put people first! Join Just Harvest in fighting for a better Department of Public Welfare! By Maria Muzzie on March 21, 2014 in Barriers to Benefits, Blog, Events, Get Involved, Take Action! Too many struggling Pennsylvanians cannot get the help they’re eligible for from the state’s Department of Public Welfare. We are working to press state officials for critical improvements in DPW customer service to resolve these long-standing and systemic issues. Join us for a meeting on Wednesday to plan the next steps in this campaign. 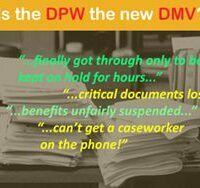 Is the DPW the new DMV? By Just Harvest on October 31, 2013 in Barriers to Benefits, Blog, Get Involved, Take Action! By Just Harvest on July 30, 2013 in Barriers to Benefits, Blog, Events, Get Involved, Take Action! Ever had trouble reaching your DPW caseworker? Join Just Harvest staff, SNAP/food stamp recipients, and other stakeholders for an informational and action-planning meeting on August 8 at our offices.